Tag Archives: Continuing Medical Ed. 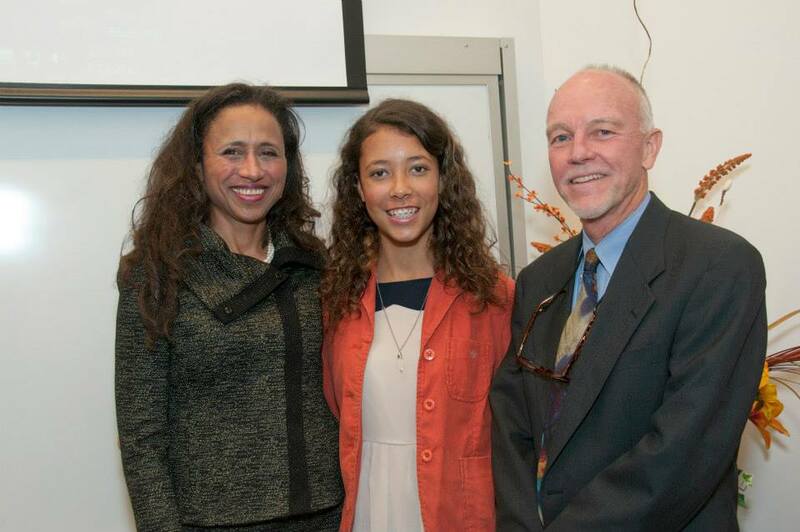 Kelly Caverzagie, M.D., delivered the 2013 Goodson Lecture at the School of Medicine on Oct. 25. More than a century after being shaped by the Flexner Report, medical education in the United States is in the midst of change and the time is ripe for educators to embrace the change, said Kelly Caverzagie, M.D., a noted author and speaker on medical education. 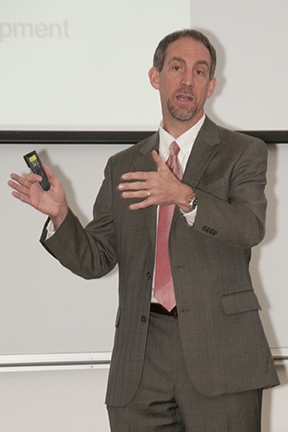 A number of external factors have spurred a transition in traditional medical education to competency-based medical education since the 1970s, said Caverzagie, a hospitalist and associate vice chair for quality and physician competence in the Department of Medicine at the University of Nebraska Medical Center. Caverzagie delivered the 27th annual William Goodson Lecture on Oct. 25 at the School of Medicine and said now is an exciting time to be involved in medical education. “There is great opportunity for us right now to redefine our profession, to redefine who we are, what it is we do and define what the next century will look like for physician education,” Caverzagie said. In his lecture, “Achieving the Promise of Competency-Based Medical Education,” Caverzagie said a redesign of medical education is imperative in order to meet the needs of the nation’s health care system. The UMKC School of Medicine will joint sponsor the 43rd annual presentation of the Dr. Robert D. Conn Heart Conference on Dec. 12-13 at the Westin Kansas City at Crown Center. This year’s conference will focus on improving the quality of care for patients with cardiovascular disease using evidence-based medicine and a multidisciplinary approach to patient care. It is intended for general practitioners; internal/family physicians; cardiologists; nurses; physician assistants; and other health care professionals. To register and learn more visit https://cmetracker.net/UMKC/Catalog (case sensitive) or contact the University of Missouri-Kansas City School of Medicine’s Continuing Medical Education Office: 816-235-6808 or cmeoffice@umkc.edu. The event is jointly sponsored by the UMKC School of Medicine and Saint Luke’s Hospital of Kansas City. 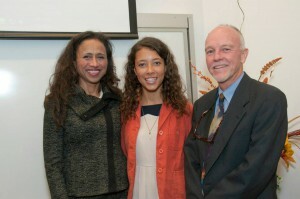 Denise Davis, M.D., ’81, (left) stands with her daughter, Aviva, and Stuart Munro, M.D., chair of the Department of Medical Humanities and Social Sciences, after she delivered the Marjorie S. Sirridge, M.D., Outstanding Women in Medicine Lectureship on Sept. 19 at the School of Medicine. Denise Davis, M.D., ’81, has spent the past year looking at women physicians’ lives from a unique perspective: the vantage point of their daughters. Davis presented the 2013 Marjorie S. Sirridge, M.D., Outstanding Women in Medicine Lectureship on Sept. 19 at the School of Medicine to UMKC faculty, staff and students, as well as other members of the community, about “Pride and Presence: Narratives of Women Physicians and their Daughters. She has been working on the study, which explores the relationships and feelings between mother physicians and their daughters, for a year after being inspired by her invitation to deliver the lecture and her relationship with her own daughter. Davis, an internist, is an associate clinical professor of medicine at the University of California San Francisco, a member of the core faculty for the Center of Excellence in Primary Care, San Francisco VA Medical Center and a member of the American Academy on Communication in Healthcare. At UCSF, she currently serves as an attending for residents, nurse practitioners and nurse practitioner fellows in ambulatory care. 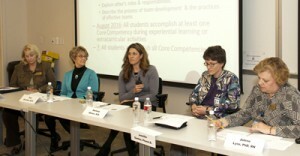 Along with medical student remediation, Davis is involved in faculty development workshops and teaches topics that range from basic communication skills, including improving doctor-patient communication, obtaining informed consent, working with angry patients and negotiating cultural differences in clinical relationships, to giving effective feedback to learners and coaching learners through remediation. Davis has received the Kaiser Foundation Award for Excellence in Teaching for her work with students at UCSF School of Medicine. She consistently received awards as one of “America’s Top Doctors” and has received many Patients’ Choice Awards during her 20 years in a successful private practice. Consumer Checkbooks rated her as one of the finest physicians in the East Bay and the J magazine readers twice voted her as one of two favorite primary care physicians in the Bay Area. Communication is a pillar on which her career has been based. Davis has been involved with the American Academy on Communication in Healthcare for 10 years. Through education, research and training, the organization helps caregivers improve the health care setting. Her love of communication led to her interviewing the sample of women physicians and their daughters for the study she presented at the Marjorie Sirridge Lecture. Mary Sirridge, Ph.D., daughter of Marjorie and William Sirridge, M.D., welcomed Davis on behalf of her mother and her other family members. Davis mentioned her gratefulness for the mentorship she received from Marjorie Sirridge and what it meant to her to come back to the School as the Marjorie S. Sirridge, M.D., lecturer. The School of Medicine and Saint Luke’s Hospital of Kansas City will present the Steven R. Hall, M.D., Trauma Symposium, “Trauma Continuum of Care: Challenges in Trauma,” on Oct. 3-5 at Big Cedar Lodge in Ridgedale, Mo. The program will provide information aimed at increasing the quality of emergency care in this region. To get the full brochure or to register go to: https://cmetracker.net/UMKC/Catalog (case sensitive) or contact the University of Missouri-Kansas City Continuing Medical Education Office: 816-235-6808 or cmeoffice@umkc.edu. Joint sponsored by the University of Missouri-Kansas City School of Medicine and Saint Luke’s Hospital of Kansas City. 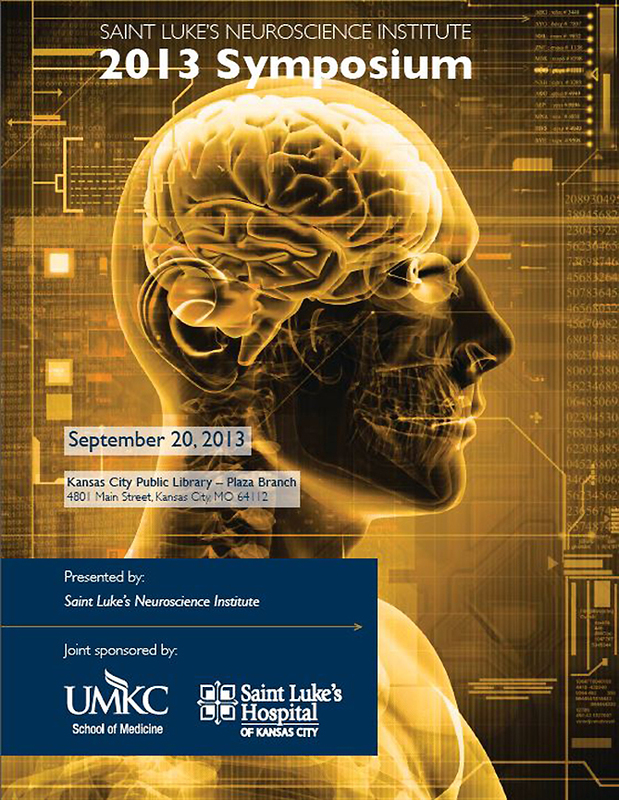 The UMKC School of Medicine and Saint Luke’s Hospital of Kansas City will joint sponsor the 2013 Saint Luke’s Neuroscience Institute Symposium on Sept. 20 at the Kansas City Public Library-Plaza Branch. This conference will focus on new approaches for the diagnosis and treatment of common and “not so common” neurological disorders. It is intended for primary care physicians, family physicians, neurosurgeons, neurologists, neurointensivists, psychiatrists, nurses, case managers/social workers, and other health care professionals. To register and learn more: https://cmetracker.net/UMKC/Catalog (case sensitive) or contact the University of Missouri-Kansas City Continuing Medical Education Office: 816-235-6808 or cmeoffice@umkc.edu. The Quality Oncology Practice Initiative Certification Program (QOPI) has recognized Truman Medical Center-Hospital Hill’s Oncology Center for its commitment to excellence and quality of care for oncology patients with its three-year certification for outpatient hematology/oncology practices and requires ongoing participation in the QOPI program throughout the three-year term. Jill Moormeier, M.D., M.P.H., associate dean of Graduate Medical Education, is the program director for the UMKC Hematology/Oncology Fellowship and TMC Hematology/Oncology section chief. 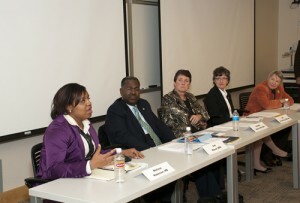 All of the physicians in the practice are UMKC faculty or fellows. The American Society of Clinical Oncology’s QOPI is an oncologist-led, practice-based quality improvement program, which began in 2006. Launched in 2010, the QOPI Certification Program (QCP) awards practices the meet rigorous safety measures established by the ASCO and Oncology Nursing Society with a certification. Eligible candidates for the certification agree to an evaluation of their practice and documentation standards. Along with their application, they provide data that include documentation of care, chemotherapy planning, administration and treatment summary, pain assessment and control, smoking cessation, and psychosocial support. 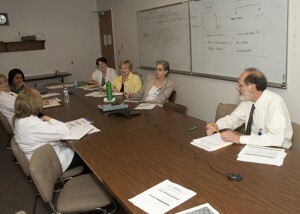 Alan Salkind, M.D., (right) professor of internal medicine, meets with his group working on the preventable hospital readmissions component of the Best Practices for Better Care initiative on June 26 at Truman Medical Center. Best Practices for Better Care is a multi-year campaign to improve patient care and quality at teaching hospitals and health systems in the United States. The UMKC School of Medicine and Truman Medical Centers (TMC) have joined medical schools and teaching hospitals around the country in a multi-year initiative aimed to improve the quality and safety of health care. The initiative, Best Practices for Better Care, is sponsored by the Association of American Medical Colleges (AAMC), University HealthSystem Consortium (UHC), an alliance of academic medical centers, and the Centers for Medicare and Medicaid Services through their Partnership for Patients Program. Best Practices for Better Care will help put patient safety and quality methods into widespread use at teaching hospitals and health systems in the United States, combining academic medicine, education, research and clinical care. The goal is to put the power and skills of the academic medical center behind solving some of the common patient quality and safety problems through education, research, and clinical care. The initiative began in June 2011 with participating medical schools and teaching hospitals gathering data during its first year. The campaign recently released a progress report to the participating organizations that showed most hospital systems have in place well-established systems to improve patient care in the United States. But, Moormeier said, it was also clear there is some work to be done in educating students, residents and faculty in quality improvement. Participating institutions, according to the AAMC, have committed to teaching quality and patient safety to the next generation of doctors; ensure safer surgery through use of surgical checklists; reduce infections from central lines using proven protocols; reduce hospital readmissions for high-risk patients; and research, evaluate, and share new and improved practices. The School of Medicine and TMC will first tackle the preventable hospital readmissions component. 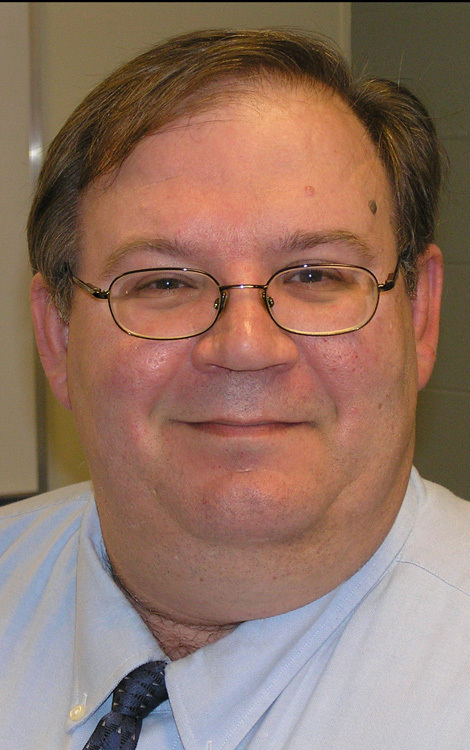 Alan Salkind, M.D., professor of internal medicine, will be leading this endeavor. According to Salkind, nearly 20 percent of Medicare hospitalizations are followed by readmission within 30 days, with 75 percent of these considered preventable. Readmissions within 30 days account for $15 billion of excess Medicare spending. “Common reasons leading to hospital readmission are inadequate explanation to the patient about how to use medications after hospital discharge, recognition of warning signs that warrant a call to the patient’s physician, and lack of a timely post-discharge physician visit, all of which are preventable by clearly conveying information to patients and confirming understanding before discharge from the hospital,” Salkind said. “Another important objective of this project is to teach students and physicians the elements of discharging a patient from the hospital with appropriate and understandable instructions for their continued care. This project is scheduled to last for about six months, but as the School and TMC gather data, it may be extended. The campaign is ongoing. John A. Spertus, M.D., M.P.H., F.A.C.C., Lauer/Missouri Endowed Chair and professor of internal medicine, and Shauna Roberts, M.D., ’84, professor of internal medicine, are members of Research on Care Community (ROCC), the research division of the Best Practices for Better Care initiative, established to serve as a home for academic leaders and their teams. Through webinars, peer-to-peer learning and other resources, members of ROCC will share strategies for building institutional effectiveness and implementation research. 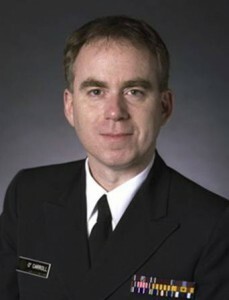 Timothy P. Hickman, M.D., M.Ed., M.P.H. Timothy P. Hickman, M.D., M.Ed., M.P.H., adjunct associate professor of the Department of Pediatrics, the Department of Biomedical and Health Informatics and the Department of Medical Education and Research, has been selected as a participant to the Robert Wood Johnson Foundation Workshop on Race and Health Disparities. Hickman, who has also served as medical director for continuing medical education and director of cultural competency at the School of Medicine was one of 25 faculty members, researchers and graduate students selected in a national competitive application process. The five-day workshop, which will be June 18-22 in Ann Arbor, Mich., will focus on increasing knowledge and skills in measurement and indicators, research methods and use of secondary data sources in health disparities research. “Not only is this an opportunity to participate in a learning community with scholars who represent social sciences, population health and health sciences from around the nation, but a chance to establish relationships that can lead to collaborative projects,” Hickman said. While sponsored by the Robert Wood Johnson Foundation, the workshop is part of the Inter-University Consortium for Political and Social Research (ICPSR) Summer Program in Quantitative Methods in Ann Arbor, Mich. The ICSPR was originally a partnership between the Survey Research Center at the University of Michigan and 21 U.S. universities, but now it includes a consortium of more than 500 universities worldwide. It provides access to social science data sources and training in quantitative analysis using the resources. The instructors for the workshop include David R. Williams (School of Public Health/ African and African American Studies- Harvard University); Paula A. Braveman, (Family and Community Medicine-University of California-San Francisco); Patrick M. Krueger (Department of Sociology- University of Colorado-Denver); Gabriel Sanchez (Department of Political Science- University of New Mexico), and John Garcia, Archive Director of the Resource Center for Minority Data ( RCMD) (University of Michigan – ISR).